Is physiotherapy suitable for my condition? 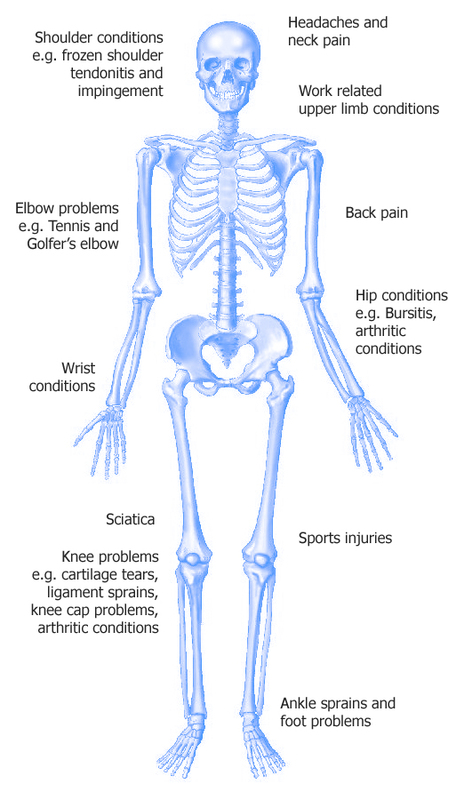 Physiotherapy can be used for a wide range of conditions. Physiotherapy is also an integral part of rehabilitation from injury, or after orthopedic surgery. In addition, we also have the expertise to offer neurological rehabilitation for conditions such as Multiple Sclerosis, Strokes and Parkinson’s disease. What should I expect of a physiotherapy consultation? An initial physiotherapy consultation, takes 40 minutes and involves a full and detailed assessment to identify a diagnosis and underlying causes. Advice on the condition and a treatment plan is provided which will include advice on condition management and resolution of any underlying causes e.g. postural changes, details of suggested physiotherapy interventions including an exercise programme where appropriate; and a recovery prognosis. Treatment will also be included at the first consultation where indicated. What type of physiotherapy treatments can you offer? We are a very “hands-on” physiotherapy practice and the main treatments consist of joint mobilisation, manipulation and soft tissue massage and associated techniques. We use some electrotherapy treatments where appropriate e.g. Ultrasound. We are passionate about the importance of exercise therapy and this will be an integral part of the treatment plan in most cases. How many sessions am I likely to require? The number of sessions is dependent on your condition but at the initial assessment an indication will be provided whenever possible. The following table gives our average number of treatments for various body sites over a 3-month period.